National Blues Museum, Saint Louis, Missouri. Information, Photos and Reviews. The Museum is open Tuesday- Saturday from 10:00-5:00pm and Sunday -Monday from 12:00-5:00pm (*Closed on Mondays November through March). We also have live music on Friday and Sunday nights and encourage guests to go to our website and follow us on social media to see more information. 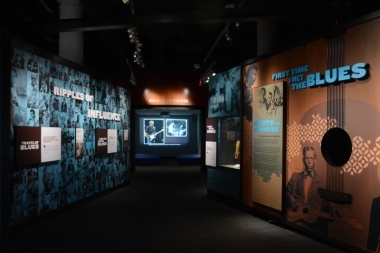 Nobody has reviewed National Blues Museum yet, Be the first. You are submitting a booking enquiry. National Blues Museum will then contact you by email with details of availability and prices.